Because we offer MORE for LESS! Whether you’re looking to purchase, finance, or service your vehicle, you won’t find more impressive customer service with exceptional prices and a no-hassle environment. Our brand-new Keenan Honda Dealership offers a comfortable customer lounge with kids room, over 13,000 square feet of showroom space, a 2-lane indoor service drive and much more. And, “More for Less” truly describes all of the amazing extras our customers enjoy. Perks like free oil changes, free loaners, free Pennsylvania State Inspections, and free car-washes are included with any new or pre-owned vehicle purchase. Read what our customers have to say about their car-buying experience with us. Membership in our exclusive Rewards Program at no additional charge! 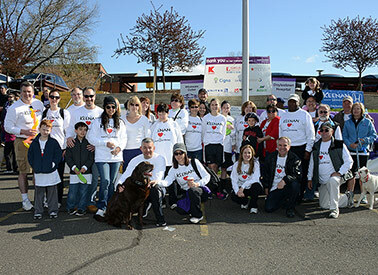 Keenan Honda is privileged to be a part of the amazing Doylestown community in Bucks County, Pennsylvania. We are a family owned and operated business full of employees who love getting involved and giving their time to support local charities and events. We take pride in and enjoy giving back to the Doylestown area community that has helped us grow into the company we are today. We love what we do, and this is our way of thanking you! We are also a proud supporter of the March of Dimes, joining them in their efforts to fund research that will improve the health of babies.